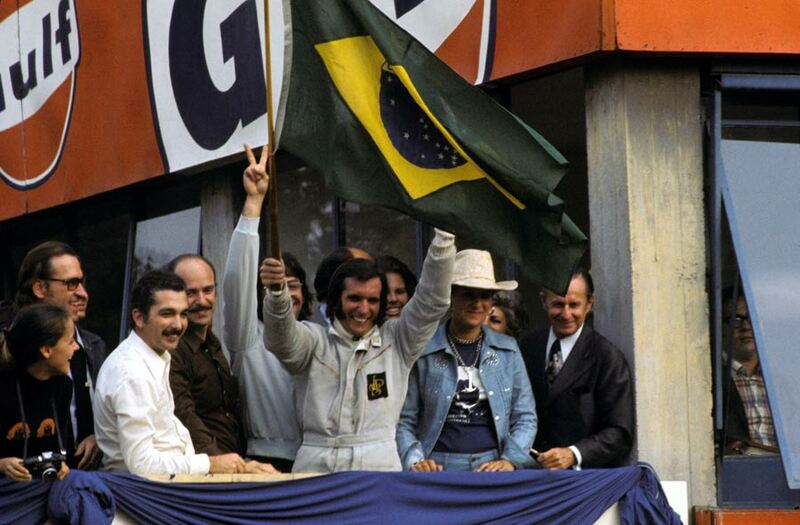 Emerson Fittipaldi's fifth win of the season at the Italian Grand Prix also made him, at 25, the youngest world champion. Only Denny Hulme and Jackie Stewart had a mathematical chance of catching him before the race, but Stewart's Tyrrell suffered transmission failure on the start line, and Hulme was never in contention even though he battled back to take third. Not for the first time, the build-up to the race was dominated by unhappiness with the Monza circuit. Two chicanes had been built to try to slow the speed, but drivers were worried they were too narrow and so would make things more dangerous. Several warned that if two cars came together in the chicane the track could be completely blocked. Common sense prevailed and for the race the first chicane was by-passed and the second subject to a no-overtaking rule. As it was, a huge crowd were treated to a superb race. Not for the first time in the year, Jacky Ickx took the lead only for his Ferrari to let him down and allow Fittipaldi to take the win. From the off five cars broke away from the body of the field and engaged in their own separate fight. The crowds in the grandstands stood every time Ickx passed with the Ferrari of Clay Regazzoni and Fittipaldi in close pursuit. Regazzoni, leading at the time, crashed out at the chicane on the 16th lap when he slammed into the March of Carlos Pace which had come to grief on the previous lap. Then, with ten laps to go, Ickx glided to a halt as a result of an electrical failure, and the stands visibly emptied as the local interest vanished. Mike Hailwood emerged from the retirements to take second, the best result of his career. Amon, who was third, ran up an escape road when his brakes failed and then limped into the pits with a puncture after driving half a lap with locked brakes. Graham Hill received a standing ovation after a gripping battle with Peter Revson which ended when his Brabham-Ford developed a brake problem and relegated him to fifth. Peter Gethin was the sixth and last finisher.